I have to give it to Renee Mckellar — out of all the students that visit Revision Path, she was the first one to reach out to us for an interview. It’s always good to hear from designers who are just starting out because they have a fresh perspective to offer. Renee talked to us about how she got started, how she keeps motivated, and where she wants to be in the near future. 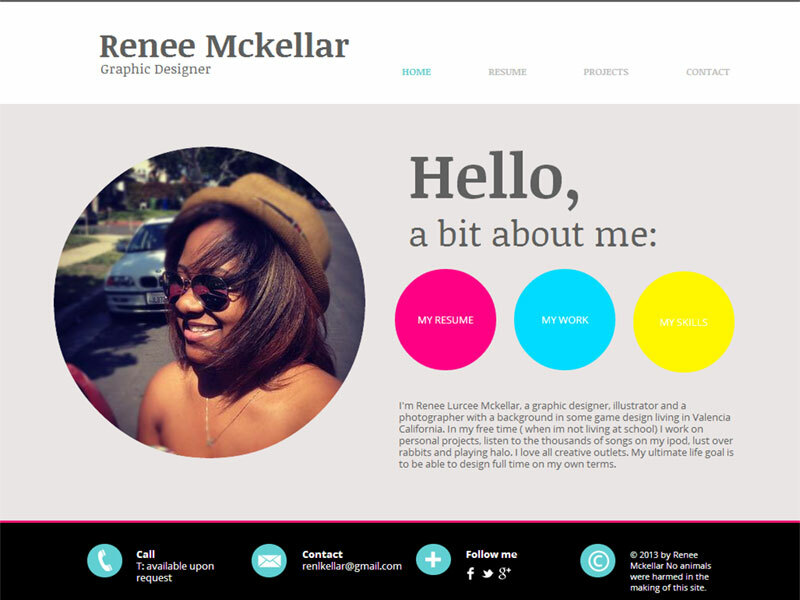 My name is Renee Mckellar and I am a graphic designer from Los Angeles, California. I recently graduated from College of the Canyons and I am now headed to California State University, Northridge to work on a BFA in graphic design. My ultimate goal is to own my very own design firm and be an art director. How are your studies going? How is CSU Northridge’s graphic design department? Classes started in August, and this is my first semester as a junior. I’m extremely nervous because once upon a time I never thought I would be at a university. I have read a lot of great things about their art department, the teachers are working professionals, and they are very serious about teaching. When did you first get started with web design? I started web design in the tenth grade because I was taken out of a physical education course because I had really bad asthma. I was able to choose extra electives, so I decided to enroll in animation and web design classes. Yes, it was a huge part. I have loved art since I was a child, and I was always doing something creative. I remember being younger and having Nick Jr. magazines. I would do every single crafty project in that magazine, from making stick puppet shows to making a comic book. I always had markers and crayons ready to go! Creativity is still a big part of my life. If I couldn’t just randomly work on a art project of some sort, I would die. Yes, one of my teachers — Kevin Jenkins. Since my first day of class back in 2011, he’s helped me grow as a designer. He always had the best inspiration and has always pushed me. He even helped me get my first internship which was a lot of fun. It’s very hard to stay motivated as a designer sometimes. Sometimes I have too many creative ideas! I’ll see a designer’s work and think it’s so amazing and out-of-the-box and I’ll say to myself “How did they do that?” or “Why can’t I do that?”, and I might get intimidated for a little while and contemplate if I am a good designer or not. But I overcome it and let their works inspire me to never give up and to keep learning as much as I can. This might not make sense to someone who isn’t a web designer, but always always ALWAYS check your code and make sure your div tags are closed. This is something I have learned to always do, and it’s a time saver. As an up and coming designer, what are your thoughts on the design industry as a whole? Where do you see yourself being in the next five years or so? The design industry is a tough place. I’m learning now that even though I’m a graphic designer, I need to be able to design websites, mobile websites, know animation, and so much more. People no longer want just a specific type of designer; you need to pretty much know it all. This is what pushes me to continue my education. In the next five years I hope to be working at Stardust Studios in Santa Monica, CA. What was the last thing you designed just for fun? The last thing I designed just for fun was an illustration of my glasses and my signature for my portfolio. Haha — it would be my room! I would design a kawaii theme with lots of inspirational typography all over the walls. 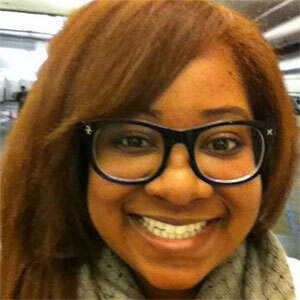 About Renee: Renee Mckellar is a graphic designer and a design student at California State University, Northridge. You can find her on Facebook and Twitter, as well as her website.